Very Good. 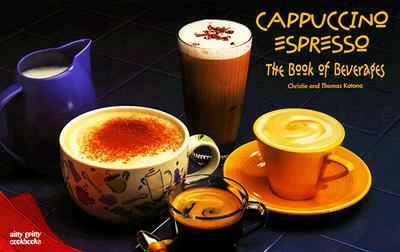 Cappuccino/Espresso: The Book of Beverages (Nitty Gritty Cookbooks Series) by Katona, Thomas, 1998-09-01. Trade paperback (US). Glued binding. Cloth over boards. 171 p. Nitty Gritty Cookbooks. Balkovek, James. Very Good. Cappuccino/Espresso: The Book of Beverages (Nitty Gritty Cookbooks) by Katona, Thomas, 1993-10-01. Trade paperback (US). Glued binding. 176 p. Nitty Gritty Cookbooks. Fine. 1558672125 Ships from Tennessee, usually the same or next day. Very Good. 1558672125 Ships from Tennessee, usually the same or next day. Good. 1558672125 Ships from Tennessee, usually the same or next day.